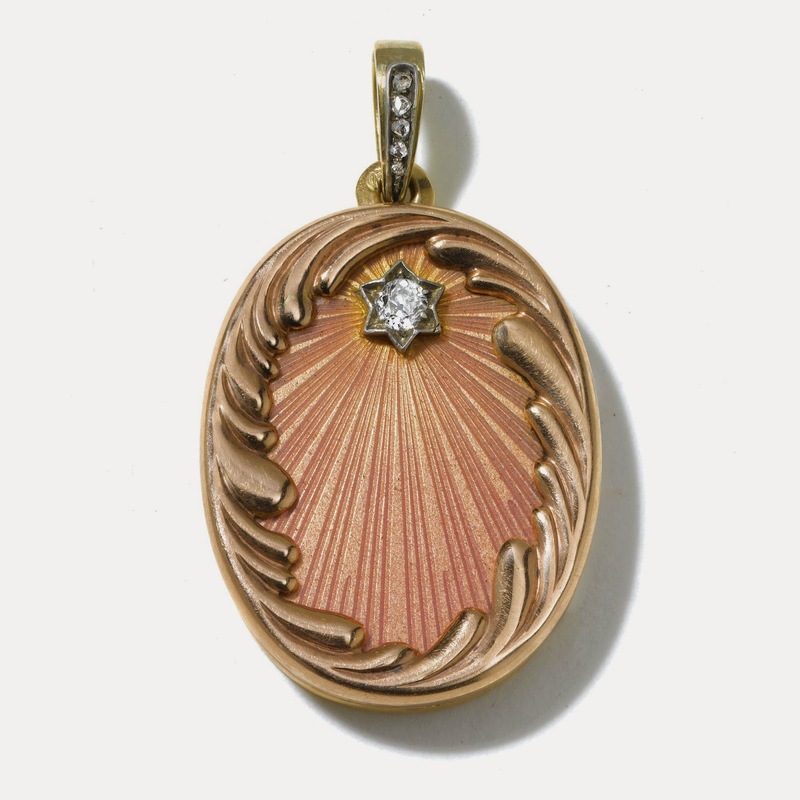 This week's Fabergé object is a lovely little pendant. It was made by workmaster August Hollming, sometime between 1899 and 1908. The oval pendant is covered in translucent pink over a sunburst guilloché ground, emanating from a diamond-set star. Around it runs a gold scroll border. The suspension loop is set with rose-cut diamonds.